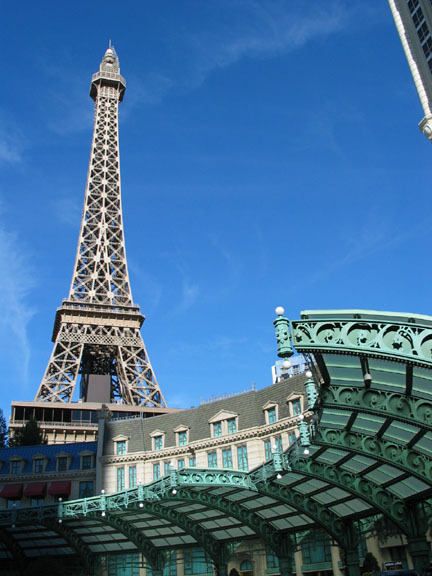 One of the nicest casino settings; you almost feel as if you're at the base of the Eiffel Tower. 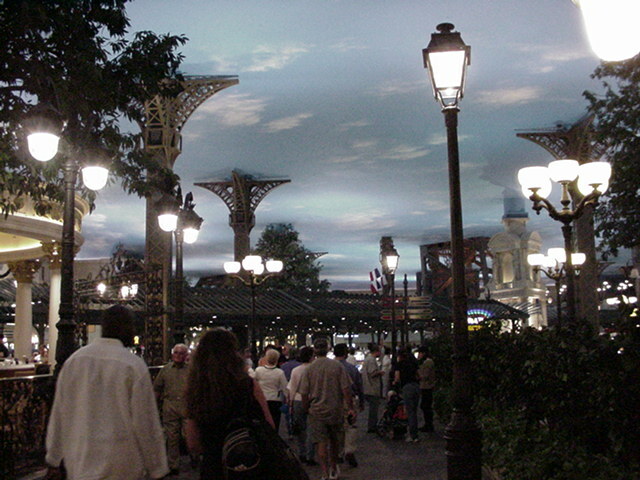 Shops and cafes are set in a lively re-creation of a Paris village. items cooked to order at food stations. 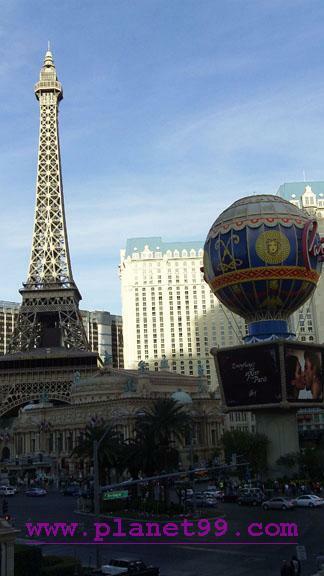 Regional breads, pastries, and cheeses accompany entrees such as king crab legs, braised duck, and coq au vin. Breakfast daily 7 am-11:30 am, $12.95; lunch Mon-Sat 11:30 am-5:30 pm, $17.95; dinner Sun-Thurs 5:30 pm-10 pm, Fri-Sat 5:30 pm-10 pm, $24.95. Sunday brunch 11:30 am-4 pm, $24.95. 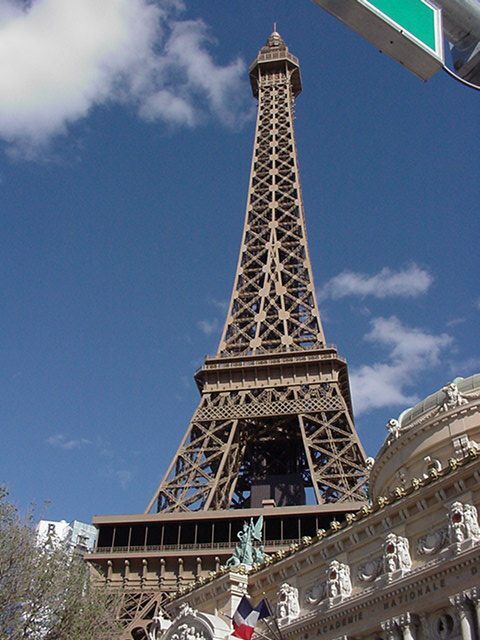 This exciting Eiffel Tower replica was produced using original drawings that were used for the real thing over 100 years ago. 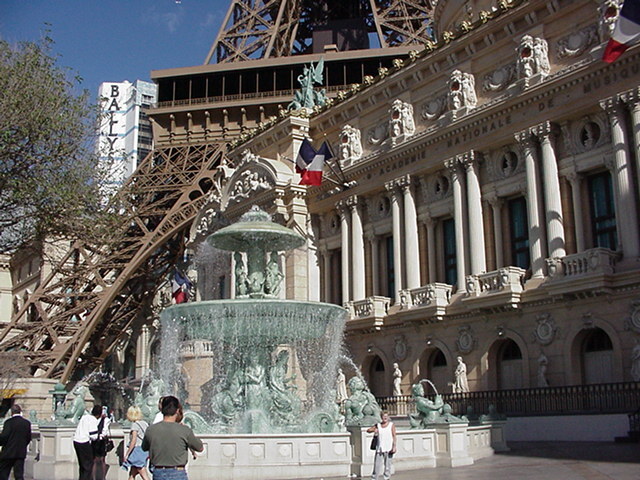 Authentic details include the same lighting used in the original Tower. Glass elevators transport visitors to a high observation deck. 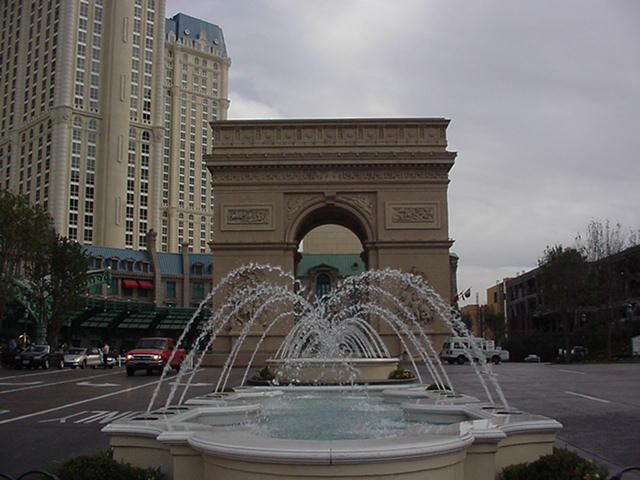 Adjacent to the Tower is a two-thirds-size Arc de Triomphe replica, copying the original in each detail. 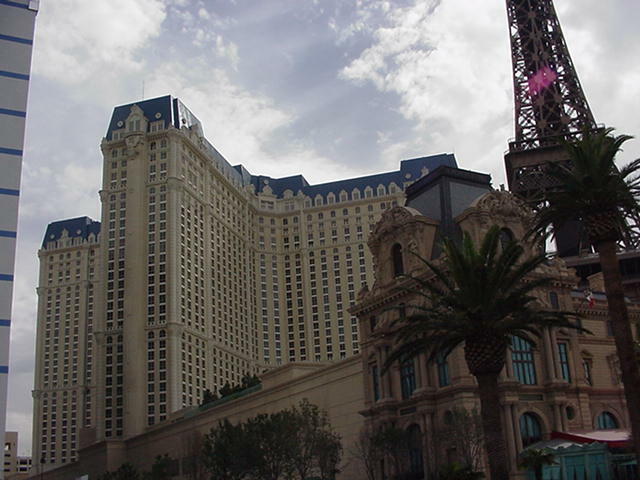 Resorts which are owned by Harrahs include The Flamingo Hilton, Caesars, Rio, Bally's and the Imperial Palace.